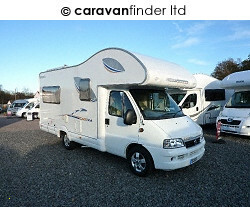 This Swift Carrera is a lovely motorhome. The previous owners have showed care and attention to it as the pictures show. This is a perfect get away for those looking to travel the UK or around Europe, at just 36,148 miles this motorhome has still got a lifetime of travelling ahead of it. SAVE Â£2999!